VOL 11: Chapter 102 - "Earth's New Guardian"
Nearly two years had passed since the events revolving around Reybuu and the Locket of Nether had transpired. Earth was once again in a state of peace thanks to the actions of Jaduko and his friends, who had decided to take advantage of this time of peace and bond together as friends and family, as their journey had shown them that no matter how hard they tried to distance themselves from fighting or encountering extraterrestrial threats, their bond as family could not be shattered or broken. With Dende dead from the conflict with Reybuu and the Dragon Balls no longer existing, Jaduko would continue to train with Taisuka, Konno, and Violouh as members of the Z-Fighters with Seikyo slowly distancing himself from the group so he could train on his own, but all of them all had one goal on their mind... to get stronger so they could protect the planet if someone or something ever threatened it. 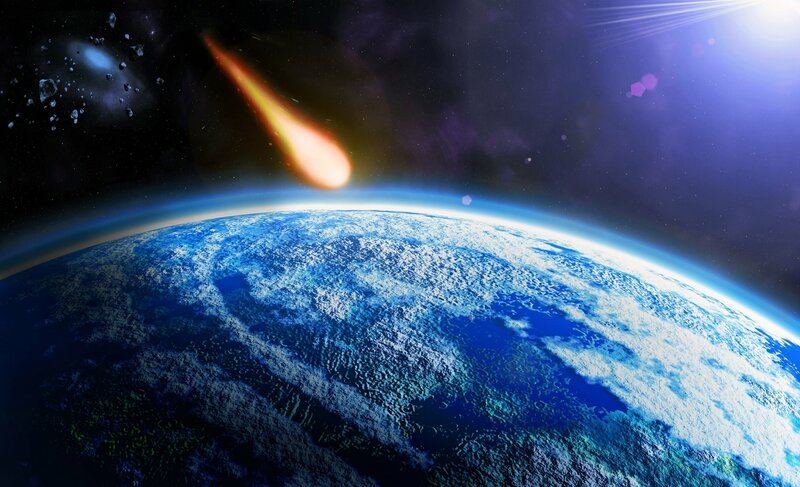 But nothing ever happened, the only threat to Planet Earth was natural occurrences. Disasters such as forest fires, hurricanes, and even things such as floods randomly took place and they were the only things that harmed the people of Planet Earth. It seemed as though our heroes were out of a job and all they could do was soak up the peace..
A tall and slightly muscular figure peered over the side of the Lookout as dark storm clouds moved underneath the floating observatory, wind rustled through his ancient robes that were colored grey and brown, tied together with a red martial arts belt. The figure was holding onto a tall wooden staff in his right hand as if it were a cane, he softly closed eyelids, closing in his orange eyes and he took a deep breath. The figure's skin was a bright green with red patches of skin circling around his softy, pink flesh that was scattered around his body. On his face, he had a red scar that extended from the top of his right eyebrow, through his eye, and down the side of his right cheek. His green antennae spiked up from his forehead towards the sky and his forehead had a slight crack in it making him look fierce yet wise at the same time, this man was a Namekian just like Violouh and Dende... The wooden staff in his hand was the one that Dende had when he was Guardian of Earth. This wasn't Dende, was it? He was killed during the conflict with Reybuu, how is he alive? No.. this man may be a Namekian like Dende, but he is far too young to be the same person as Dende. The Namekian opened his eyes and looked around the Lookout, over the course of the past two years it had been repaired and all of the dead flowers and trees had been replanted by Mr. Popo with the aid of Violouh, who kept his promise about helping Mr. Popo rebuild his home. Staring towards a tree in the distance, the Namekian blinked and he could see himself pulling himself over the ledge of the Lookout, he was wearing a white martial artist gi with red lining and a red belt. The Namekian was remembering his past, when he first stumbled upon this Lookout..
"What a peculiar feeling.. I'm reluctant to have found this floating station on this planet.." The Namekian's past self talked to himself as he fell unconscious, Mr. Popo ran out of the temple on the Lookout and helped pick the Namekian off of the ground, he would then take him inside of the temple and restore him back to health.. The Namekian shook his head as he stopped thinking about the first time he had met Mr. Popo, he was thankful to the deity for nursing him back to health, but it had come at an odd request.. He remembered waking up in front of Popo and the fateful conversation the two had..
'Guardian of Earth? What happened to your previous Guardian?' The Namekian asked. 'You are not from this world are you not?' Mr. Popo seemed to know something odd about this Namekian, who silently shook his head. 'All I remember is a bright flash of light in my dark world, and I awoke in a bright sunny world as this, I could tell the worlds were not the same by the sense of peace and lack of hostility in the air.' The Namekian replied. 'Thank you, sir.. and I don't really have a name, just a codename, or a nickname.. you can call me K.O.N' The Namekian replied. 'K.O.N? Interesting name, my friend.' Mr. Popo smiled, K.O.N smiled back as he looked down and thought long about what he would say next. 'I'll become your Guardian, but I don't know how to make the Dragon Balls, and if they are a necessity on this world just like they are on my world.. You must teach me how to make them!' K.O.N pleaded. 'I believe you have the potential to bring great peace to this world by bringing these Dragon Balls back to it's grasp.' Mr. Popo replied, and the two would then become close friends over K.O.N's time as the Guardian of Earth. But before Mr. Popo taught him anything about creating the Dragon Balls, he had taught him was was necessary to become a guardian of this world. With his memories fading, the wind picked up and K.O.N's robes blew in the wind as the dark storm clouds moved faster down below the lookout, a storm was brewing. Today was the day that he was officially going to create the Dragon Balls with Popo's aid. K.O.N let out a deep breath and turned around, he began walking towards the temple on the Lookout and noticed Mr. Popo carrying a small glass orb with a broken statue encased within it. Mr. Popo lowered the orb onto the ground and K.O.N noticed that the statues was a statue of a dragon, it was broken into 7 pieces indicating that the dragon, known as Shenron, was dead as well due to the previous guardian being dead. "What's this?" K.O.N asked, bending down in front of the orb. "In order to begin creation for the Dragon Balls, you must reconstruct Shenron with your life energy, with each piece you put together, you are free to make whatever rules for Shenron you like. This statue makes it easier for you to get an idea on what the dragon looks like. For instance, the previous guardian made it so only three wishes could be granted by Shenron per year, and the Dragon Balls would turn to stone after each usage. But then slowly over time, he changed it back to a single wish to prevent the people on this planet from abusing it's power." Mr. Popo replied. "However, this world contains beings that are able to negate such things as the balls turning to stone, so it's up to you as to how you want to handle the Dragon Balls, just think of the consequences." "I see.. so I could make Shenron grant up to ten wishes if I wanted?" K.O.N questioned. "It wouldn't be wise." Mr. Popo cracked a smile. "I was joking." K.O.N chuckled and removed the glass top from the container holding the statue of Shenron, he began to work on reconstructing it. Uttering words in the language of his Namekian people, K.O.N raised his hands over the glass orb with his palms facing down towards it and spread his fingers, yellow sparks of light shot from his fingers and rushed into the orb. The light touched the Shenron statue and Mr. Popo watched as the statue put itself back together, beams of light shot from the orb as K.O.N finished his Namekian chant. Shooting up into the sky, the beams of light spread across the planet in seven different directions, each of them circled the planet until they struck the Earth down below where seven stone orbs were located, the stone eroded away as the light softly sparked around the Dragon Balls. "Ta mona kah, Zee allah!" K.O.N shouted and clapped his hands together, the Dragon Balls shimmered in light and shot up into the sky, all seven of them traveled in the air towards the Lookout until they all arrived in the air above the floating observatory. Mr. Popo stared up in awe as the seven balls circled around each other and quickly dropped to the ground, surrounding K.O.N and the glass orb with Shenron's statue glowing inside. "No, don't summon the dragon." Mr. Popo nervously spoke and stopped Dende. "Do you feel something odd about these Balls?" "They should be orange and red, right? Why are they green and black?" K.O.N questioned, he could feel a wicked energy emitting from each of the seven balls surrounding him. "I did the ritual correctly, didn't I?" "You did, but I'm afraid these balls must be destroyed and we should restart the ritual, just incase." Mr. Popo replied. K.O.N raised one of his fists and slammed it down onto the top of one of these Wicked Dragon Balls, but it wasn't even as the ball didn't even crack. K.O.N glared at the ball and picked up his wooden staff, he prepared to slam it down onto the ball but Mr. Popo placed his hand on the Namekian's shoulder, stopping him. "You said this planet had mortals stronger than you and I... I need to find them and help me destroy these balls." K.O.N muttered. "I'm afraid the balls can't be destroyed by any physical contact." Mr. Popo replied. "We have to try, we can't let this wicked energy fester for long." K.O.N replied. He closed his eyes and tried searching the planet for a strong warrior that he could seek out. But with Jaduko and his friends taking time to rest and live peaceful lives, K.O.N was not able to find any of them... Reluctantly, he found someone else who would able to help him in destroying these Wicked Dragon Balls..